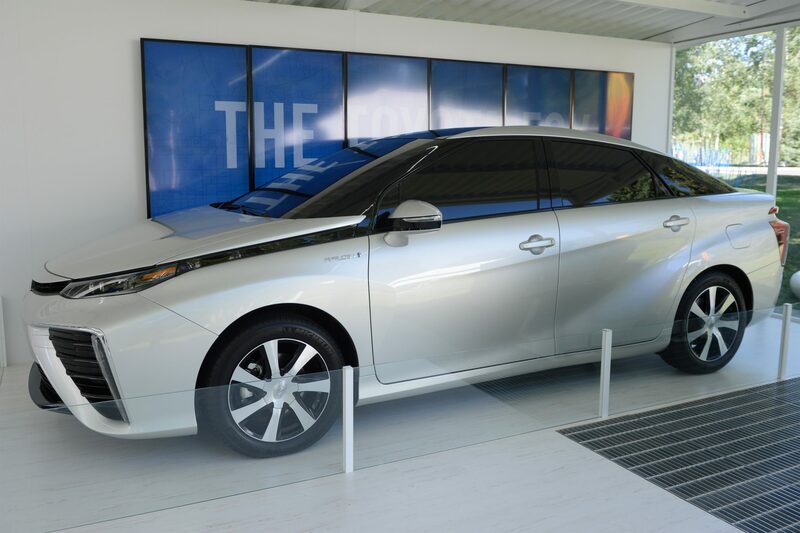 Recently the Toyota FCV (Fuel Cell Vehicle) has been making headlines all over the place. Just last week, we got to see the production vehicle’s exterior, and learned how much it would cost in Japan. Over the weekend, the Toyota FCV showed up at the 2014 Aspen Ideas Festival, this time painted a more demure silver rather than its usual in-your-face blue. The zero-emissions electric-drive sedan is slated for release in California in summer 2015, and will supposedly get 300 miles for every fill-up of hydrogen, which takes just a few minutes. Now that’s the kind of zero-emissions vehicle I can get behind! Since hydrogen-powered fuel cell vehicles are brand new to the market, the question of how and where to fill up is probably plaguing the minds of many Californians who are counting down the days until they can get their hands on an FCV. Luckily, earlier this year, Toyota announced that it was collaborating with FirstElement Fuels to help build and maintain 19 hydrogen refueling stations in California, making ownership of the FCV a real possibility for many drivers. Toyota is calling the FCV “the future of mobility,” and it’s easy to see why. Toyota’s Aspen Ideas Festival display also showed the automaker’s automated vehicle technologies, and cutting-edge safety research. Toyota has always been a pioneer when it comes to the vehicles of the future, and it would appear that nothing will change in that regard in the foreseeable future. Who else is thinking of moving to California next year just to own an FCV? Dawn Carberry is the digital marketing manager and the head blogger for the Haddad Automotive Group, located in the city of Pittsfield in Western MA. The Haddad Auto Group includes Haddad Toyota, Haddad Subaru, Haddad Hyundai, and Haddad Nissan new car dealerships, and Haddad of South County used cars.